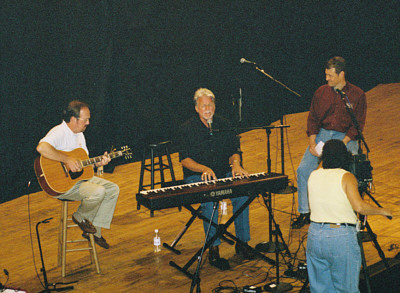 Popular WSM radio personality Bill Cody brought together "The Three Con's" on the stage of the historic Ryman Auditorium. 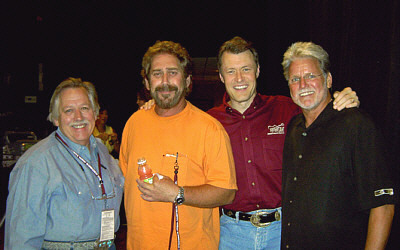 From left, John Conlee, Earl Thomas Conley, Bill Cody, and Con Hunley. 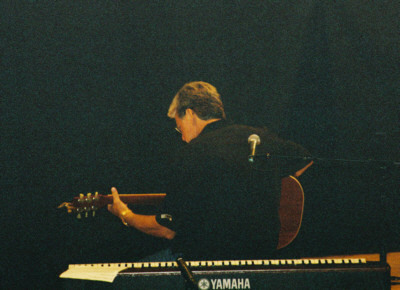 Con picks a little blues tune on a guitar prior to his performance. Con fooling around with Randy Layne's guitar before the show. 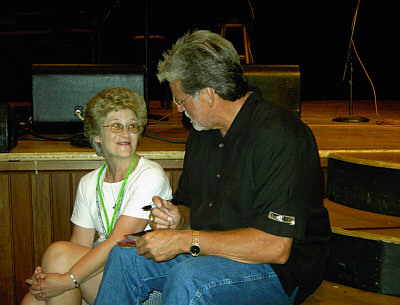 Con sits on the steps of the stage to sign a quick autograph for a fan before the broadcast starts. 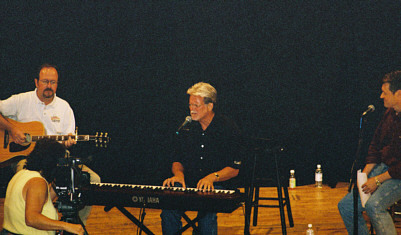 Con Hunley takes the stage with Randy Layne on guitar and Bill Cody. 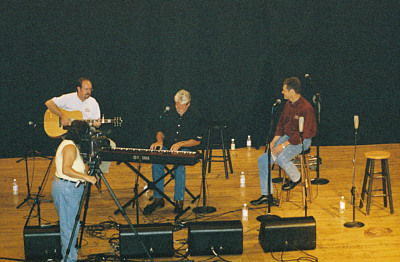 Bill Cody has a ringside seat as Con Hunley and Randy Layne perform "Since I Fell For You" during the live WSM broadcast from the stage of the Ryman. 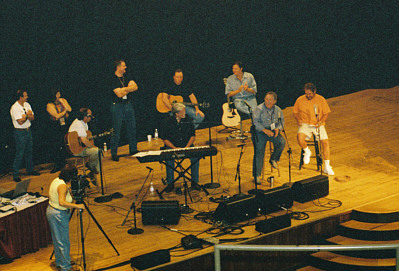 John Conlee, Earl Thomas Conley and band members join Con, Randy and Bill onstage. 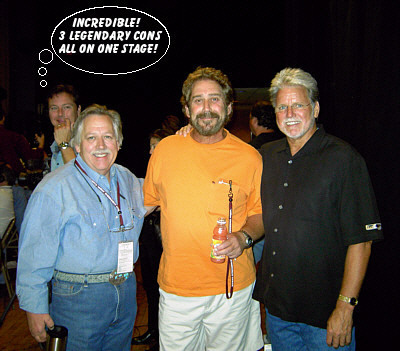 John Conlee and band members get a preview of Con's new single "Still." 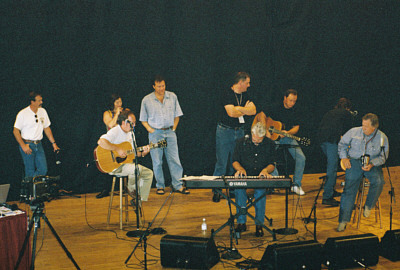 Con's version of Bill Anderson's classic song is the first single on Con's "Sweet Memories" CD. Billboard magazine's June 26th review of "Still" said in part, "For the lead single, he reinvents Whisperin' Bill Anderson's gem 'Still.' 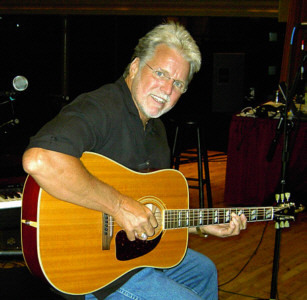 Hunley puts a whole new spin on this evergreen hit, transforming Anderson's plaintive country ballad into a smoky, sultry number, oozing with Hunley's trademark blue-eyed soul." 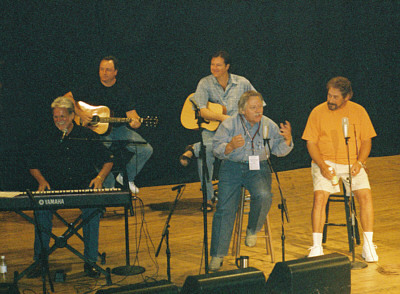 John Conlee tells a funny story while Con Hunley, Earl Thomas Conley and band members look on. 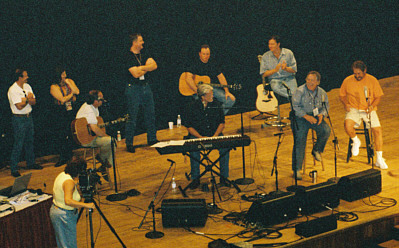 Even though it was only about 8:30 am, everyone seemed to be having a great time at the Ryman with WSM. 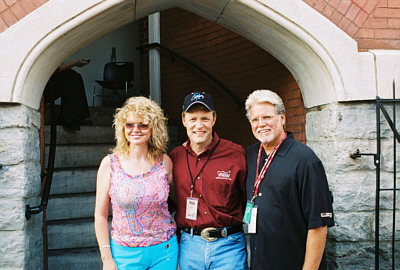 Con's IMMI Records labelmate Madonna Tassi outside the Ryman Auditorium with Bill Cody and Con. Her new CD is coming out in January 2005.